An explosion in the Hague, The Netherlands, caused the front of a building to collapse, said the city's fire department. Several homes collapsed in the incident and surrounding homes became unstable. Three people have been taken out from the rubble and at least one more is still inside the houses, said the fire department. Nine people have been injured in the explosion, of which seven have been sent to hospital, the fire department added. The city's aviation police tweeted that the explosion may have been a gas explosion. 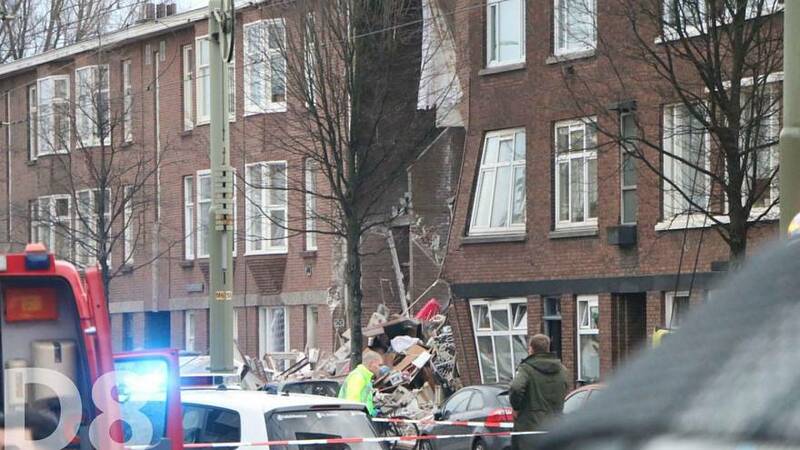 RTL News reported that residents from other houses around Jan van der Heijden Street have been evacuated since the entire block of houses could potentially collapse. Another local media outlet tweeted photos of emergency services going to the scene of the incident. This video of the collapsed building facade was taken by a reporter at Redactie District8. The cause of the explosion is unclear at this time.